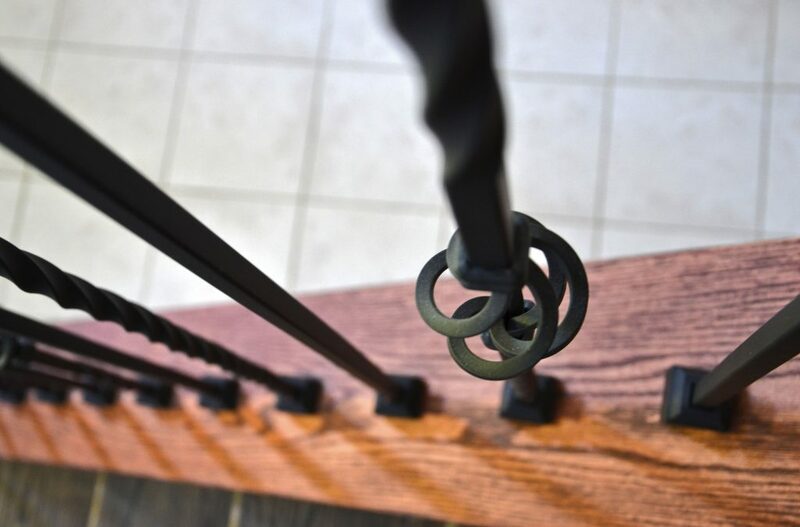 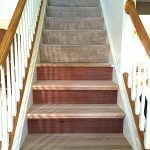 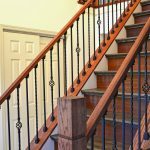 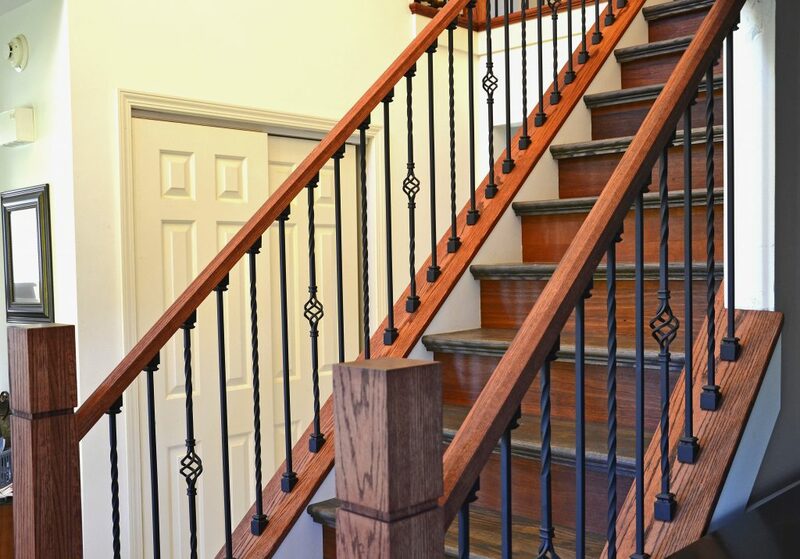 Blending wood and wrought iron stair parts can elevate your stair railing design. 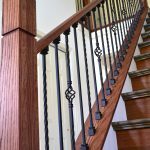 Our craftsman box newels and wrought iron balusters are an excellent combination for anyone who prefers a clean and contemporary style. 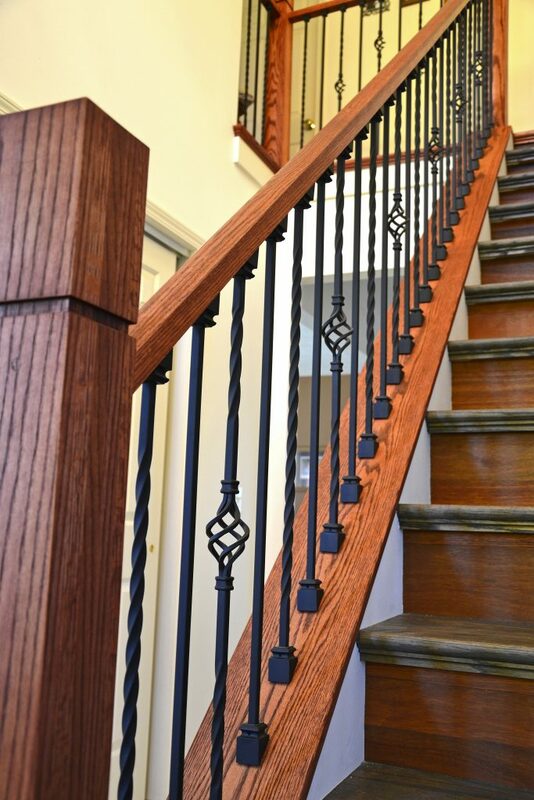 This customer paired red oak newels and handrail with satin black iron balusters from the twist series. 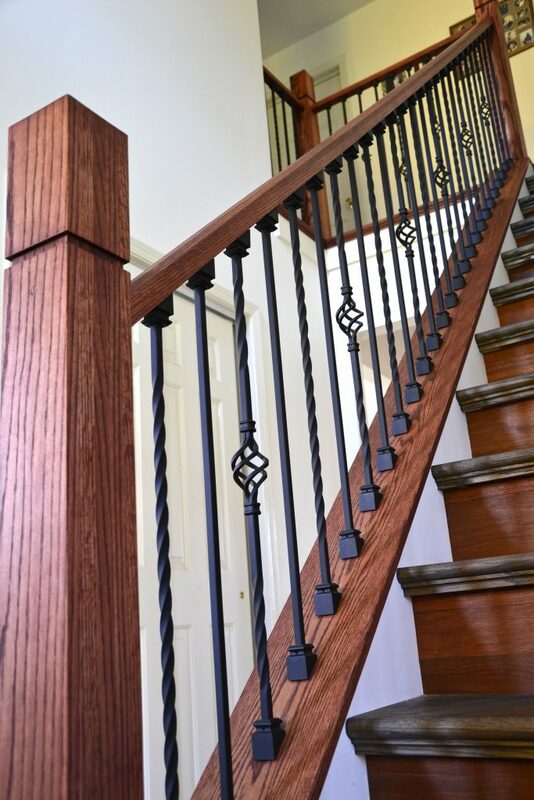 In addition, she opted to put shoes on both sides of her balusters to give her design uniformity. 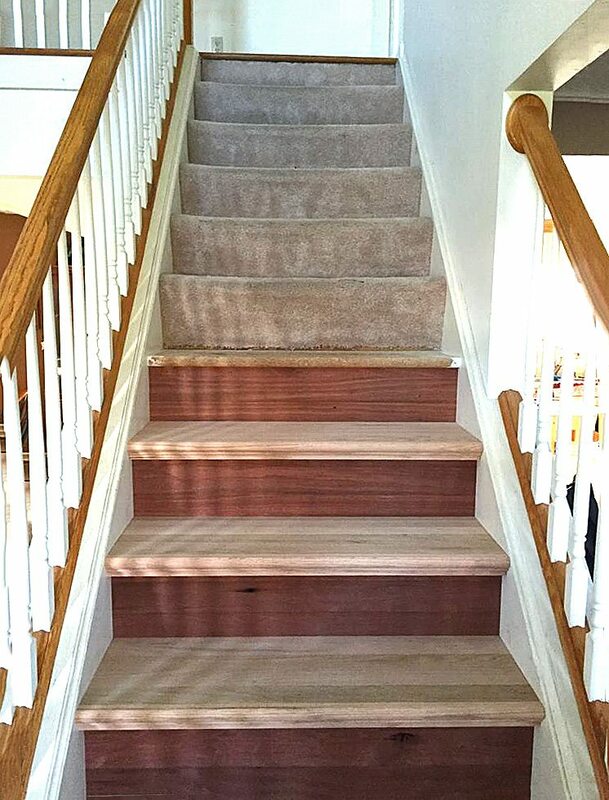 You too can put your creativity on display by finding unique stair parts that show off your personal flair. 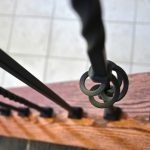 You’ll love the results.